Much of the responsibility of improving science, technology, engineering and mathematics (STEM) education has fallen upon teachers. However, it is often just assumed that they have the tools and skills needed to fulfil that responsibility. 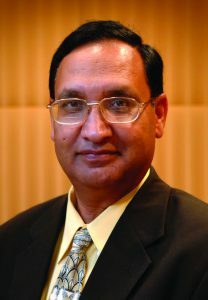 Dr Pankaj Sharma a courtesy professor at Purdue University and his colleagues are hoping to address this through their informal summer program the ‘Duke Energy Academy at Purdue’, or ‘DEAP’, that is equipping teachers to deliver engaging and authentic STEM learning experiences. Despite significant financial investment, there is still a need to improve STEM education across the globe. Issues such as the ‘leaks’ in the STEM student ‘pipeline’ across different disciplines have been raised as well as the shortage of skilled and talented STEM college graduates to fill the void of STEM-related employment positions. There is also growing concern over the underrepresentation of women and minority groups in STEM-related fields of study. As a result, governments are looking to improve the situation with relevant policy changes, initiatives and incentives. The education systems of the world, both school-based and beyond, have been a target of many of these reforms. In many cases, however, the buck stops with classroom teachers. They are, after all, the people devoting the most time to delivering STEM education to young people. The problem is, although being appreciative of the initiatives and incentives put forward by the community and government, teachers find it is often taken for granted that they have all the time, tools and skills they need to deliver engaging and real-world STEM lessons. 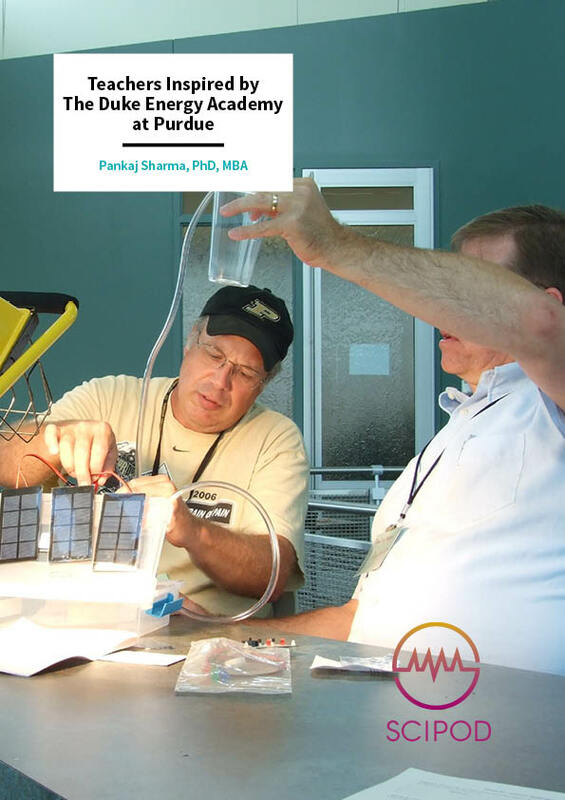 To meet this challenge, Dr Pankaj Sharma and colleagues from Purdue University, Indiana, USA, have developed and implemented a program known as the ‘Duke Energy Academy at Purdue’, or ‘DEAP’. The program is both for students and teachers. 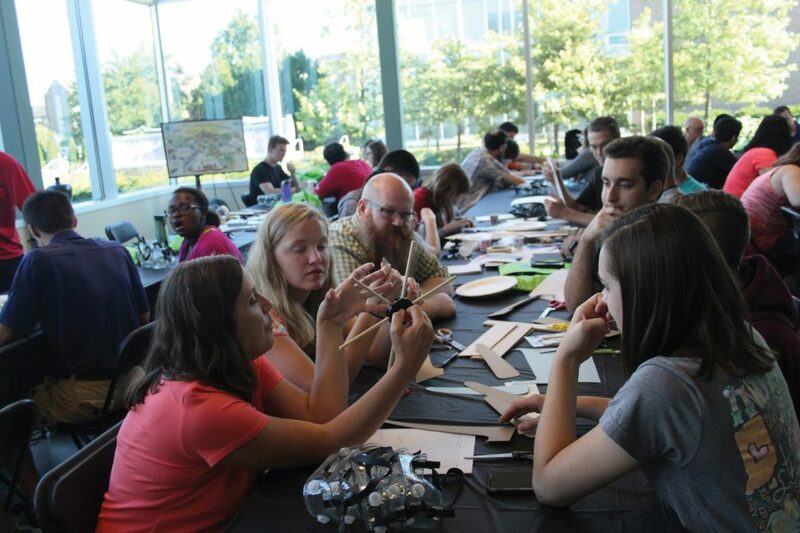 To learn more from the perspective of students see the Scientia companion article: ‘Inspiring Students at The Duke Energy Academy at Purdue’. As far as teachers are concerned, DEAP aims to inspire teachers to communicate the importance of Science, Technology, Engineering and Mathematics (STEM) and energy scholarship in their classrooms, and to provide them with the resources and incentives to do so. Teachers are involved in a range of different activities during the program and they also learn side-by-side with the students. 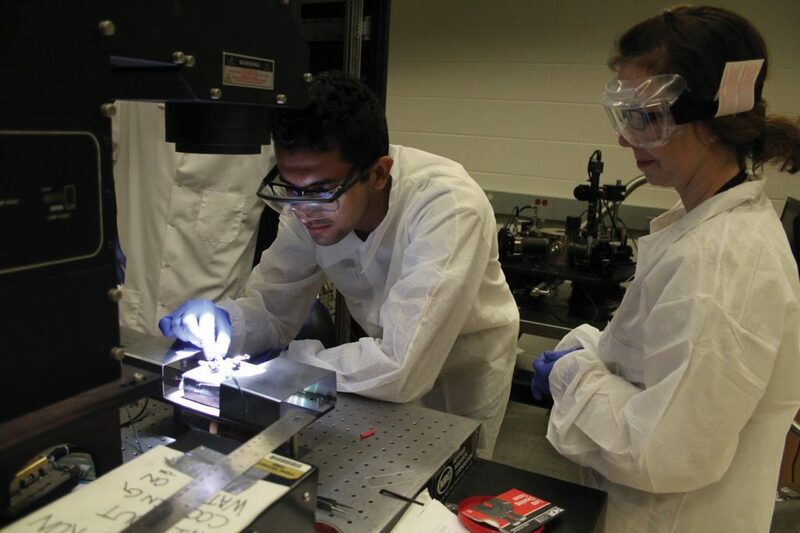 DEAP comprises a number of learning experience types, covering STEM-related energy topics such as power generation, transportation, power transmission, energy efficiency and new research frontiers. The program includes lectures from guest speakers from Purdue University, industry, and the government that are aimed at actively engaging participants in an open discussion. Tours are arranged such as visits to a fossil fuel plant, wind and solar farms, a nuclear reactor, a waste digester, and a propulsion laboratory. The participants also engage in projects working on energy-related research projects and participate in energy policy debates. 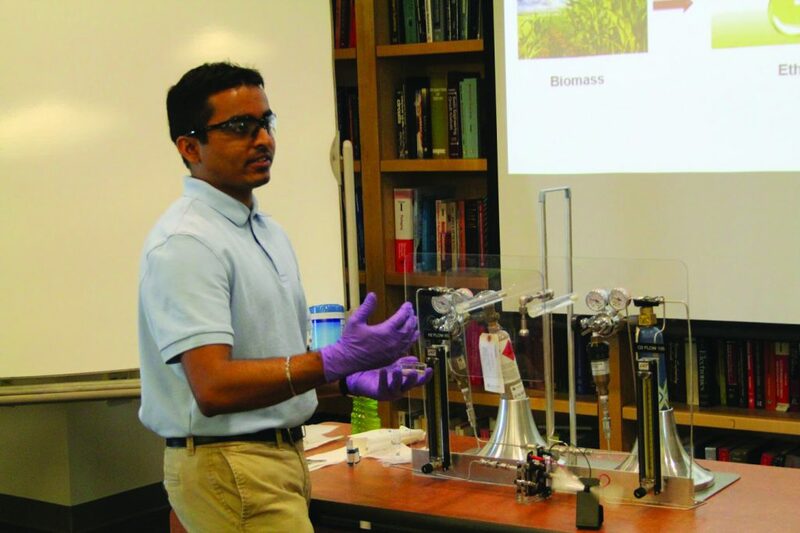 There are also hands-on exercises and demonstrations that cover the role of catalysts, wind turbine and solar technology, energy storage, electricity distribution and transmission. From the beginning, it was evident how teachers felt about these different aspects of the program. For example, in relation to one of the tours, a teacher commented, ‘Today’s highlight was the solar farm! I’ve always been curious about how a regular person like me could tap into solar energy like that.’ Indeed, many were inspired by what they were learning. Ultimately, this created in them a desire to pass their experiences on to their students in classrooms. In addition to shared experiences, teachers receive specific guidance and training on how to develop engaging STEM and energy-related lessons. In one exercise, for example, teachers prepare a full energy-related lesson, with associated planning documents, to be implemented in a classroom setting. They then share their lesson plan drafts with mentor teachers. Subsequently, they inform DEAP staff when the lesson is to be delivered in their classrooms and the DEAP staff observe, record and assess their lessons. The lessons that have been developed are also posted on the academy website for wide dissemination. The teachers were supported in this by being given a lesson plan template, other helpful resources, and six main criteria to serve as guidelines for the process. The guidelines for aspects to incorporate into the plan included problem statements and relevant teaching standards and technology. Such as asking questions and defining problems and incorporating the Next Generation Science Standards. Other aspects address obtaining and evaluating information, analysing and interpreting data and using technology and software. Opportunities for collaboration, critical thinking and communication are also encouraged and the inclusion of references – those used to develop and implement the lesson plan or that will be needed to complete the lesson. An assessment plan is also included detailing assessment methods, resources and costs and finally, an implementation plan with a timeline and estimate of completion time. Assessments included pre, post and daily feedback on various activities. Feedback from teachers indicated that everyone enjoyed the program and benefited immensely from it with 85% saying they enjoyed their interaction with colleagues and scientists, with all planning to discuss the energy topics covered at the workshop with friends or family. Of the participants, 94% agreed that the academy influenced their teaching techniques. Dr Sharma and his team also reported a statistically significant increase in their confidence in integrating energy-related concepts into class activities. ‘I find that I am using information that I learned at the Academy the very first full week of school.’ – TEACHER C.
The participants also made comments on how they think the program could be improved. Their suggestions include relaxing the schedule and avoiding back-to-back or long lectures, increasing the time allocated for teacher-teacher collaboration for networking and sharing their teaching experiences. They also suggested increasing the time for teachers to work on lesson plans during the day, providing a clearer idea of what teachers are expected to present on the last day and allowing more time for questions at the end of lectures. As well as suggestions for incorporating more biology and environmental science-related topics, having a more even mix of lectures and hands-on activities and allowing teachers to do hands-on activities separate from students. Dr Sharma and his team intend to take these suggestions on board moving forward, and the program will continue to improve. 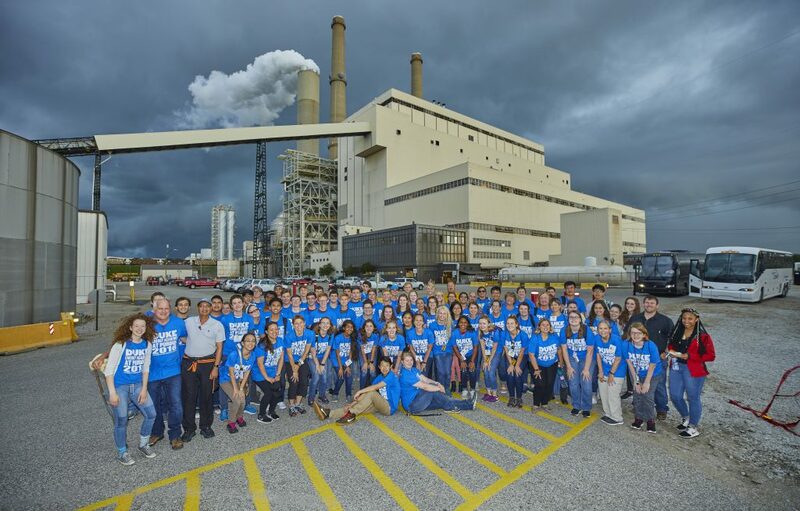 The program was started in 2012 and as 2018 marked the last year that Duke Energy would be sponsoring the DEAP program it is hoped that Dr Sharma and his team can acquire new sponsorship for the program given the beneficial impact that DEAP has had on both teachers and students. Teachers have a large role to play in improving STEM education globally. This is no easy task. It is important to find ways to support them as much as possible and provide them with the necessary tools to succeed. 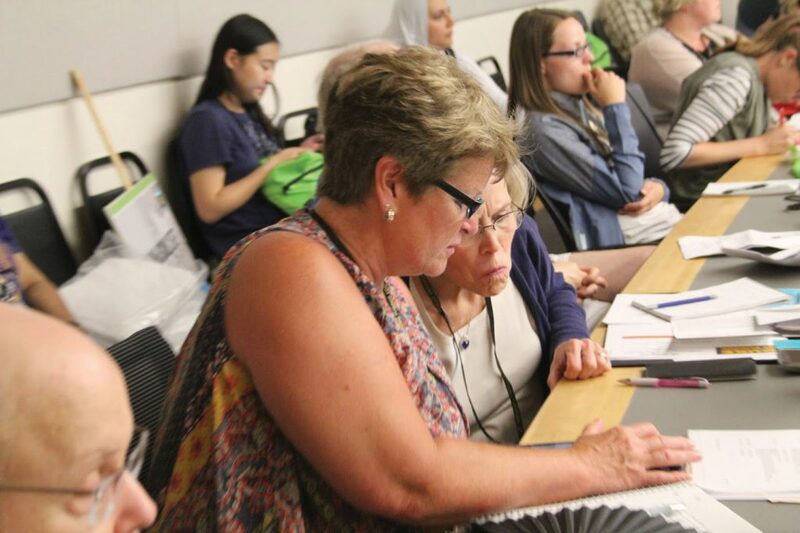 By way of lectures, tours, demonstrations, hands-on activities, and lesson planning exercises, that’s exactly what DEAP has achieved and the program has impacted over 150 teachers. Specifically, it has provided teachers with the resources and skills they need to deliver engaging and real-world STEM lessons that go beyond the typical learning context. Teachers are already implementing what they have learned in their respective teaching environments. Beyond their knowledge gained and intention to use the knowledge in the STEM intensive program, teacher participants were also able to consistently identify the barriers that are part of educational support system such as curriculum fit, funding and materials, time availability, and state laws. Teachers described that incorporating energy-related topics as they learned during the program will be a challenge, not only because current standardised and established curricula in various different subjects are intensive, but because there is a difficulty in integrating and differentiating instruction on energy problems within these curricula. So far, even though further improvements can be made to the program, the feedback from teachers has been overwhelmingly positive. DEAP has helped teachers to improve their practice, especially in terms of delivering STEM lessons focused on the energy industry and real-world challenges. The work of Dr Sharma and his colleagues is sure to have an impact on students who are, ultimately, the beneficiaries of enhanced teacher training. This will inevitably inspire and train students to take up future careers in STEM, particularly in the energy sciences.